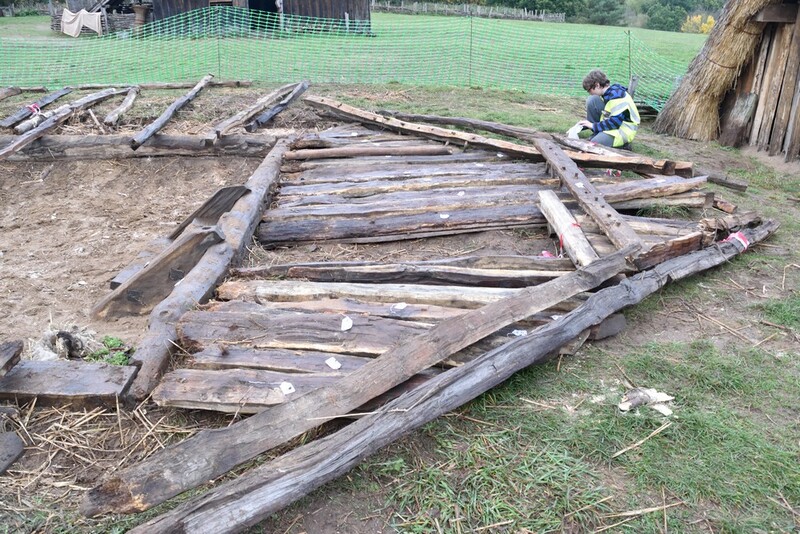 Today’s rainy clouds marked the last day of our half-term dismantling period. We were mainly finishing off work from yesterday, photographing and sketching the last of the numerous beams and filming little scenes around the village. 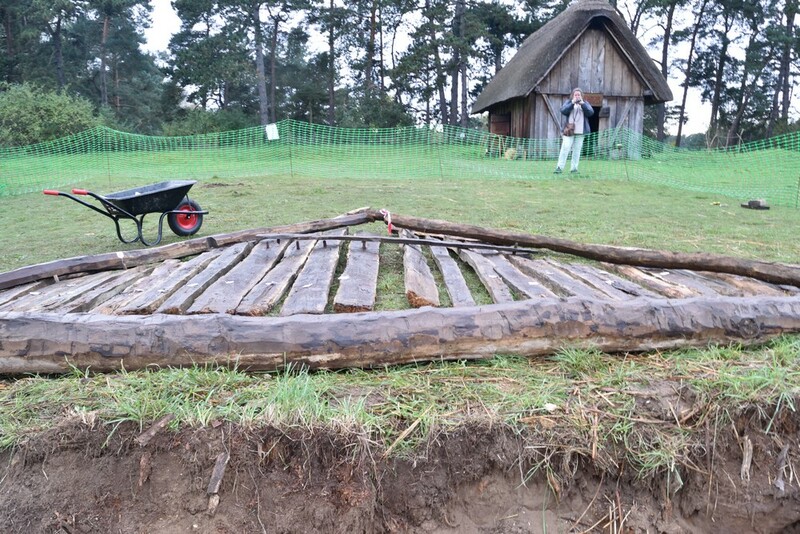 However, in the afternoon, after it stopped raining (well mostly stopped), we set about the arduous task of recreating the house out of the often broken pieces of timber by placing them on the ground. It seemed simple enough. Our labelling system that we created on Monday and Tuesday should have been an easy guide to follow but we soon found that this wasn’t the case; some of the labels had fallen off their designated beam, some pieces hadn’t been labelled as they were hidden in the thatch and some pieces were missing, presumably after being taken away with the roof. Despite these difficulties, by the end of the day with a lot of hard work and guessing, we managed to complete the house in a reasonably accurate manner with only a few pieces left out- a feat I think we’re all quite proud of. 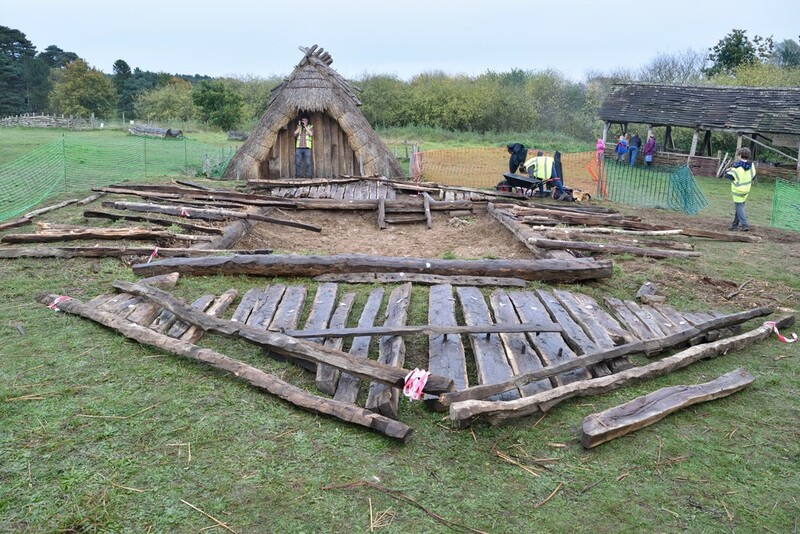 I think I speak for everyone involved in this project when I say that this week has taught us lots about archaeology and Anglo Saxon buildings. 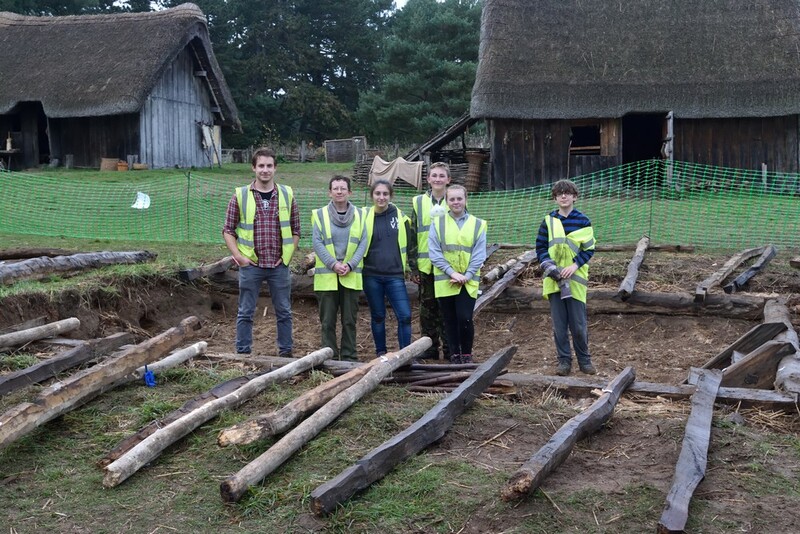 We’re incredibly grateful to all the adults who have put their time and effort into making this week interesting and enjoyable and feel that we have learnt a lot of practical skills that we can use later in our no doubt blossoming careers in archaeology. We thank Pippa and Rob in particular for their time spent working with us and for the many hours they will presumably work after this with the digitalisation of our work. This entry was posted in Uncategorised by Pippa Smith. Bookmark the permalink.